Our classes help young children explore their creativity whilst having an amazing time in the process. We ensure that each session has a real educational value and that the children have heaps of fun! 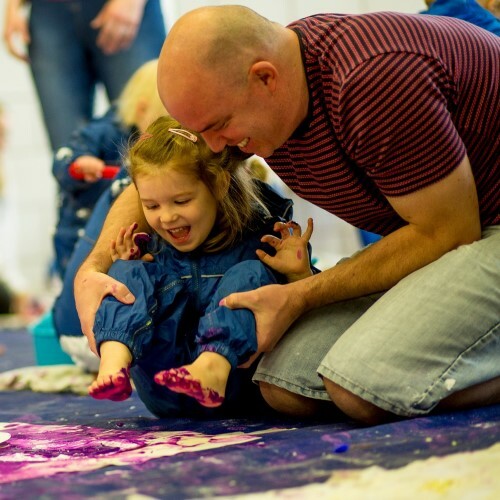 Each session has a range of experiences for your little one to explore; there will be art and craft activities and messy / sensory play opportunities and much more! We may well be space adventurers, down on the farm, under the sea or exploring a rainforest. All our sessions are written in line with Early Years Foundation Stage and our unique class structure empowers the child and gives them control which in turn boosts their self-esteem and confidence. Take your child on a creative adventure, search for your nearest class here and book a place using your Little Starts gift card.